Nutone Broan® Non-metallic wiring sleeve has plastic construction for durability. It measures 1.56-Inch x 1.1-Inch x 2.75-Inch. 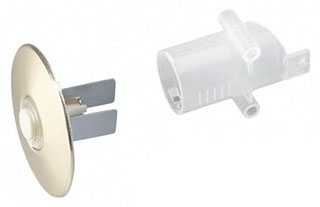 Wiring sleeve is suitable for use with push button door chime.